Metro is now saying the escalator outage at the Bethesda Metro station was related to the widespread power outages across D.C. and Maryland Tuesday afternoon. The station was closed about six hours, including rush hour, and trains bypassed it. Riders were told to use the Medical Center station or buses as an alternative. Metro also offered shuttle bus service between Bethesda and Medical Center. The station reopened after 9 p.m.
Technicians replaced a speed sensor that burned as a result of the fluctuating voltage due to the outage and also replaced a brake. 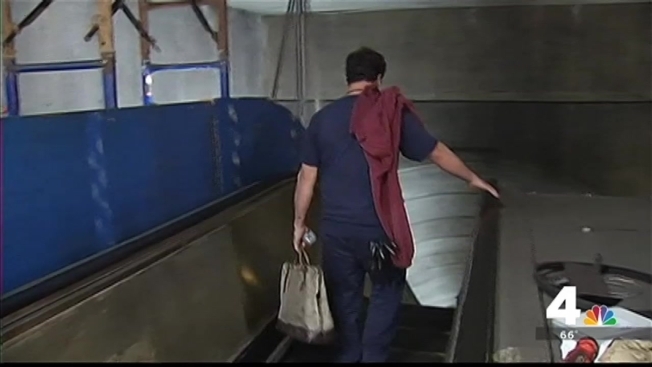 The escalator that went out of service is 31 years old, dating to the original construction of the station, and is the second longest in the Western Hemisphere.